Observation - kitenet - Grass Snake - 26 July 2008 - 10:40pm - UK and Ireland. Description: Lovely photo of a Grass Snake, taken by Wendy Wilson. 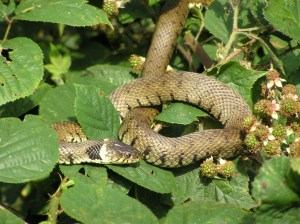 Lovely photo of a Grass Snake, taken by Wendy Wilson.